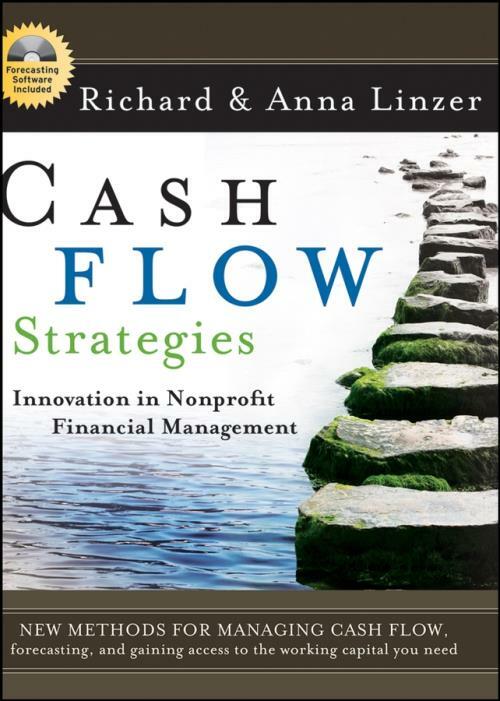 Cash Flow Strategies offers nonprofit organizations an effective and innovative approach to financial management. In this companion toThe Cash Flow Solution, the authors, Richard and Anna Linzer, reveal their approach which emphasizes the use of cash flow concepts that enable an organization to have access to the working capital it needs. The book is filled with illustrative examples and includes the tools and templates needed to make these concepts immediately applicable to any institution. The book presents the authors′ proven cash flow model in easy–to–understand language so that executive directors, financial managers, and financial consultants can effectively use this method for budgeting, forecasting, and monitoring. Cash Flow Strategies contains case studies that include cash flow budgets, creditholder solicitation forms, sample letters, loan agreements, and press releases. It also contains a complete section outlining bold new approaches to making working capital available to all nonprofit organizations in need. At the heart of the book is the Cash Flow Forecaster (a Microsoft Excel–based application on a CD–ROM) that allows users to construct cash flow budgets, annual forecasts, and easy–to–read financial reports. Also included is the Real Estate Calculator that will help readers use their own organizational data to make real estate decisions. "The Linzers are revolutionaries in the nonprofit financial world and leaders should take notice!" "A great book for any board member of a nonprofit organization." PART ONE: COMPREHENDING AND USING FINANCIAL INFORMATION. 1 The Case for Cash Flow Thinking. 2 Beginning with Budgets Conventional and Cash Flow. 3 How Footnotes Make the Cash Flow Budget Even More Useful. 4 Forecasting in a Fraction of Time. 5 Monitoring: A Key Element in Developing Financial Strategies. 6 Cash Flow Analysis as a Strategic Tool. 7 Cash Flow Analysis from the Funding Community s Perspective. PART TWO: ESTABLISHING FINANCIAL SECURITY. 8 Cash Flow Strategies in Today s Environment. 9 Cash Flow Opens the Door to a New Resource. 10 Banks, Creditholders, and Cash Flow. 11 Using Credit to Manage Fluctuating Cash Flow. 12 Using Credit for Dealing with Deficits. 13 Windfalls and Other Surpluses. 14 Using Credit for Venture. 15 Owning Versus Leasing: Real Estate Strategies. 16 Developing Effective Strategy from Cash Flow Tools and Principles. PART THREE: FINANCIAL FUTURES IN THE CURRENT WORLD OF PHILANTHROPY. 17 Earned Revenue and Discounts. 18 Cash Flow Strategies and Philanthropy Today. 19 Cash Flow Strategies and Philanthropy Tomorrow.